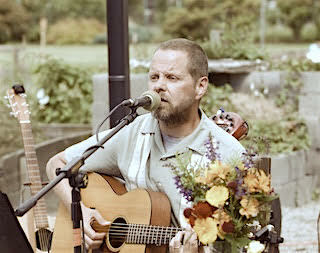 Wayne Hayton is a Northwest singer/songwriter who began his career on stages in Europe–playing for the US armed services. After returning from overseas, Wayne spent more than two-decades entertaining audiences in intimate clubs across the US and Canada. He has shared the stage with the likes of Traffic’s Dave Mason and BTO’s Randy Bachman. His influences include Neil Young, Dan Fogelberg, and the Beatles. Waynes self-published CD, Can’t Stop, has received online critical acclaim. His solo show features a mix of familiar acoustic classics and his original material.